Risk is the situation which creates high chances of getting damage, injured or attaining loss due to internal or external factors and effective actions are required in order to prevent these actions. Organisation also faces various kinds of risks during their projects or in their processing and to meet out these risks they implement the risk management system. Risk management is implemented in order to forecast the available risk and forecast the possible solutions in order to resolve them or minimize their impact. Management make use of various factors such as risk assumption, risk avoidance, risk retention, risk transfer and any other effective factor in order to deal with their risk possibilities (Durack, 2010). The purpose of documenting the risk management is to make identification of the potential problems and get prepare with the effective planning to reduce the chances of happening of risk or impact of risk. The document includes the contents such as authorised personnel, identified risk and its possible solution, immediate project manager and many more. 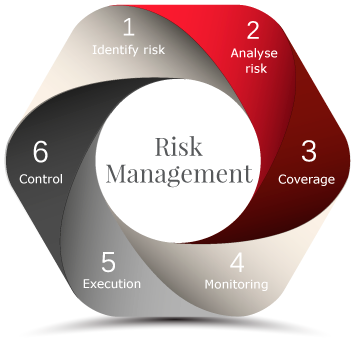 The risk management process is divided into 5 steps such as Identification, analysis, evaluation, treatment and monitor & review. With the help of this process risk can be identified and managed in even better form (Durack, 2010). The project is, introducing a new mobile phone with excellent features, octal processing system and front flash is included as per the customers need. At present mostly our youth love to take selfies at everywhere, due to which they demand for high quality front camera. Few people are not able to purchase these phones because such kind of mobile phones are too much expensive for them. But new mobile will be launched soon with the required features as well as in reasonable price. And processing system of this phone is quad core processor that mange the memory of the phone and operates the cache memory in conjunction and read central processing unit instructions. The main use of the Quad core processor is, they can run heavy files easily over their mobile. So now the problem of hanging that people often faced many times in a day will get resolved (Dull, et. al., 2012). Risk is divided in parts systematic risk and unsystematic risk. Market risk, interest rate risk, purchasing power risk are included in systematic risk and business risk, financial risk, default risk are included in unsystematic risk. The first major problem in the middle range mobile is hanging problem, second major problem is high rate of battery drain out and third major problem is with the continuous usage for 10-15 minutes mobiles get heat-up. These are major risks identified before the launch of the new mobile and few nominal problems are low quality camera, small storage capacity and poor sound quality (Abdullah, et. al., 2015). Assess & analyze the risk: Second step of risk management process is to assess and analyse the risk as from identified risk which affects the most to the new mobile. As per the analysis it is observed that now-a-days the top most requirements of customers are they require effective camera quality (front and rear both) and good sound quality along with they also demand for good processing system in order to reduce the hanging problem. Battery drains out and heat-up problem become secondary problems but these are also need to be considered in order to make the mobile effective. All the possible solutions are also measures in order to reduce the impact of the risk over the project. It become important for management to get the possible solutions so that they take care of the risk and prepares the product with the use of the available solutions (Abdullah, et. al., 2015). Plan &Action: This is the third step of the process as according to this there is effect need of planning in order to reduce the chances of these identified risks. As per the planning during the production of mobile software and other processing units there is effective requirement of initial checking so that it reduces the chances of getting hit with risk after production. Adequate levels of check-up are conducted in order to reduce the impact of risk and make the mobile effective for their usage purpose (Lindholm, et. al., 2015). Implement of the project: It is the fourth step of process as all the planning and procedures are implemented in order to process the project processing in effective manner. Software developers need to check all the possibilities in order to make their software effective so that it remove the risk of hanging problem and battery heat-up problem. All the processing units get checked up in effective manner and follow the set procedure so that adequate record gets maintained (Lindholm, et. al., 2015). Measure and control: Lastly, there is need of monitoring and controlling the activities as they are processing the set manner or not, they are following the set path or not, fulfilling all the requirements such as regular check-up or check-up at certain level or not. It becomes very important for management to measure these activities so that they become able to manufacture their desired products (Lindholm, et. al., 2015). Risk is the factor which may cause damage to the processing of the business project and varies the actual outcomes from the desired outcomes. For the organisation it become necessary to identify the available risk well in advance so that they get prepare with the effective planning to deal with the risk and minimise its impact over their processing. There are certain risks are also available within the organisation which can’t be determined before their happening such as financial crisis, withdraw of responsible authority from project, theft of confidential information and many more which affects the processing of the project internally (Tóth & Sebestyén, 2014). Objective based risk identification: Before starting any project their management set some objectives and try to fulfil them. The possible factors which hamper their objectives or become barriers in order to achieve them are considered as risk for them. The risk identified is the high price of the mobiles having such features. These risks put direct impact over their set objectives. With the launch of new mobile foremost objective is to increase the market share and make a base of loyal and trustworthy customers (Tóth & Sebestyén, 2014). Common-risk checking method: There are certain common risks available within in the industry which exists from long time and everyone get aware about it. Management make evaluation of these risks while producing their products and effectively work over it in order to reduce its impact. There are some common risks are available such as increase in the cases of battery draining, looking of mobile phones and many more. Taxonomy based risk identification: It is the effective measure in order to identify the risk as management make use of the questionnaire and conduct survey over their customers in order to get the various risks. They make analysis of the responses made by the customers and rank the problems or risks according to their threat level. As per the customer’s responses the major risk is hanging problem in the mobiles, the problem that get ranked second is problem of space availability for users, problem which rate third is heat-up problem and so on (Tóth & Sebestyén, 2014). After the identification of the certain available risks there is effective need of adequate analysis over them in order to evaluate their consequences, nature and potential impact over the project. Analysis helps in evaluating the severity of the risks and its impact (as what level of damage can be made by it over the product or desired outcomes). In this process it is not possible to implement the effective and corrective measures to reduce the impact of risk (Ahluwalia, 2015). The major difficulty in the risk assessment process to determine the rate of occurrence as there is no such true statistical data is available. For the purpose of evaluating the available risks impact there is no such adequate data is available in context to the mobiles. It becomes very difficult to evaluate the consequences which don’t attain any kind of adequate information. For the purpose of getting adequate information management gather the information from the primary sources and for this purpose they make use of questionnaire in order to conduct surveys. With the help of it they gather the required information and make use of it for their analysis purpose (Ahluwalia, 2015). On the basis of the responses made by their customers management get the adequate level of results such as most of the customers are not satisfied with the features available in the low price mobile. The features available in the low price mobiles doesn’t satisfy the need of the customers and mobiles satisfying their needs are not in their budget as they have high prices. Demand made by customers is to get lots of features in single mobile in budgeted price. Due to the availability of lots of cheap mobiles in market it is not possible to provide high cost mobiles but they don’t trust due to their performance and brand name. They make demand of such features in the branded mobiles. As the risk get evaluated and its impact it become easy to rank the risk as which risk severely impact the project. With the help of the analysis it is also concluded that available risk is eligible for treatment or not. Analysis helps in measuring the impact of the risk over the project as available risk is seriously and severely hampers the project. It gets recorded in the risk assessment document as how risk is ranked with reason in order to maintain transparency. All the identified risk get analysed with the use of the available information and on the basis of its impact it get ranked (Marle & Vidal, 2011). Risk avoidance: It is not easy to avoid the risk as it impacts the set desired outcomes. But there are some risks which can get avoided as they didn’t put much impact over the desired outcomes or get covered with positive impact of other features. In this project of launching new mobile looking of mobile can be avoided. The looking feature of mobile is not hampering the business or its sales as customers put their focus over other additional features which enhance their mobile and enrich their experience of utilisation (Hastings, 2015). Risk Reduction: It is another form of minimising the impact of the available risks as this step involves the factors to make reduction in the severity of the risk impact. For example there is risk that customers desired to get a mobile with effective price in budgeted prices. If all the features are rendered in the same mobile along with low prices it become very challenging for them to sold out their premium segment mobiles. So, it becomes very challenging for them to remove this risk. Now management minimise the impact of risk by providing adequate level of features and set price accordingly (Hastings, 2015). Risk sharing: The sharing is the effective measure in order to reduce the impact of the risk over the desired outcome. There are certain risks which can be shared with the third party in order to reduce its impact such as mobile get damaged with the heat-up problem in this case whole loss is suffered by the customer and the brand image get decreased in the market. In order to reduce the impact of this situation or remove at the time of sale company provide insurance policy in which damage cover should be rendered to the mobile holder for compensating their situation. It is very necessary for them to compensate in order safeguard their image in the market and satisfy the customers (Karkoszka, 2014). Risk retention: This option renders that whole impact of risk is suffered by the company only and no other is liable for this impact. It become an viable strategy against small risks as they insure the product or remunerate the user if mobile get damaged into the set period or warranty period of one year. They also provide option in order to increase the warranty period against some charges. If mobile get damaged due to the hanging problem or heat-up they can replace the mobile with new mobile or fix them without any charge. These are some additional features rendered by the company in order to safeguard their project from the high potential risk by reducing its overall impact (Karkoszka, 2014). 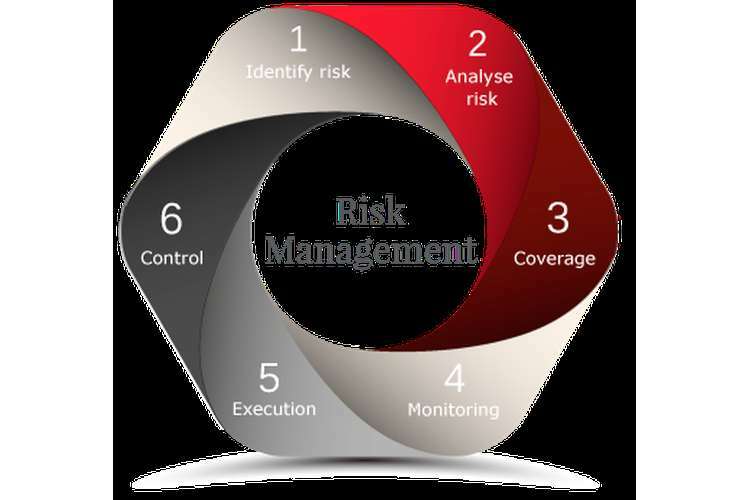 Risk management is the process of identifying, analysing and responding to the risks available in front of the organisation. The main aim of risk management is to reduce the impact of loss or avoid the risk or prevent losses or avoid threats and attain opportunities. Risk management is important for the adequate level of benefits for the business organisation as they enhance their economic efficiency with the use of it. Risk management is solely responsible for identifying the available risks in order to safeguard the set desired outcome of the specific projects (Rodrigues-da-Silva & Crispim, 2014). There is effective increase in the probability that they achieve their set targets or goals well on time and in the desired manner. It helps in improving the level of understanding over the risks and associated implications. It helps in concentrating over the major issues. With the use of it internal controls become much effective as they effectively put limitation over the consequences (Emblemsvåg, 2010). It helps in enhancing tolerance level against the level of risk. It renders various and high level of information related to the risk in order to enhance the processing of the risks. Mobile manufacturer projects get integrated with each other as there are certain risks are faced by every project during their processing time period. Integrated risk management is become beneficial as whole organisation is connected and performed by learning from different phases. With the implementation of the integrated risk management organisation become much effective in order to reduce the impact of the common problems or risks attained by them. Risk management is implementing in order to enhance the security measures and effective concept related to the safety and security measures of the organisation. For the purpose of strategic development risk assessment become an important part as it helps in identifying, assessing, monitoring and managing the risks in order to make adequate improvements in the functionality of the business organisation. While implementing the integrated risk management it become important to understand the various features such as complex process, limited availability of the resources, influencing activities, nature of their events and the development possibilities (Emblemsvåg, 2010). Integrated risk management system make inclusion of all available risks such as financial risk, legal risks, operational risks, external factors risks and all other risks. Integrated risk management system must get interdependent with the development of the organisation and need to make inclusion of the development process, assessment, monitoring and the risk management. There is adequate difference in threat and risk as threat is event having low possibility with negative impact and it is very difficult to measure the level of impact. Whereas risk is the event which attains high possibility of occurrence along with this the measure of its impact is also possible. Risk is fully associated in order to measure profitability and losses. Overall risk is such problem or situation which gets occurred in the near future and put adverse impact over the outcomes or achievements. Risk is the efficient barrier in attaining set desired outcomes (Tummala & Schoenherr, 2011). Risk is the factor which effectively renders threat as well as opportunity and there are various components or situation which creates risk for the organisation. Risk management perform their activities in order to identify their weakness in order to mitigate their threats so that they become enough capable to minimise them on the other hand they also work over their strength in order to avail the available opportunities. Management need to gather the feedbacks from their target market over their new launched products with the help of their dealers or retailers in order to enhance their market information. This helps in reviewing the overall performance of their newly launched mobiles. Perform adequate research and development program over the software and processing unit in order to make adequate level of improvements (Tummala & Schoenherr, 2011). Management need to make the mobile cost effective in order to provide reasonable with high equipped mobile to the users. Make the mobiles compatible so that it becomes easy to carry. Involve the recommended and necessary features only in the mobiles so that they can save the cost incurred over it. Get the suggestions from the customers in order to make modifications in their mobiles. Manufacture the limited editions for the specific category in order to make the mobile effective and attract lots of customers towards brand (Tummala & Schoenherr, 2011). Abdullah, M., Shukor, Z.A., Mohamed, Z.M. & Ahmad, A. 2015, "Risk management disclosure: A study on the effect of voluntary risk management disclosure toward firm value", Journal of Applied Accounting Research, vol. 16, no. 3, pp. 400. Ahluwalia, M. 2015, "Supporting the individual needs of obese pregnant women: Effects of risk-management processes", British Journal of Midwifery, vol. 23, no. 10, pp. 702-708. Durack, A. 2010, "Risk management", Brief, vol. 37, no. 1, pp. 35. Egan, M. 2011, Risk Management. Hastings, C. 2015, "Supervisory investigation as part of the wider risk management process", British Journal of Midwifery, vol. 23, no. 1, pp. 59-64. Karkoszka, T. 2014, "Processes risk management and continuity assurance", , pp. 133. Marle, F. & Vidal, L. 2011, "Project risk management processes: improving coordination using a clustering approach", Research in Engineering Design, vol. 22, no. 3, pp. 189-206.